Entrusting a European provider means you don't have to worry about the General Data Protection Regulation (GDPR). Cynny Space's architecture, software and servers are all European. 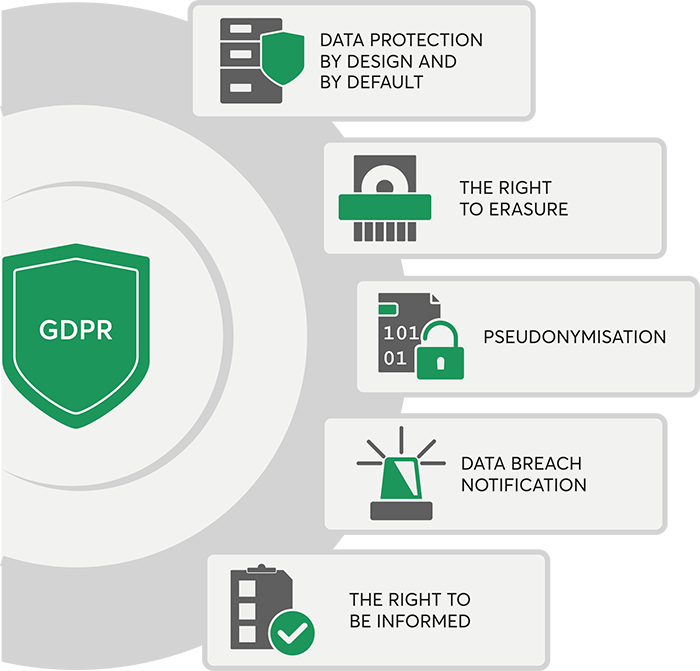 Starting May 25th, 2018, The General Data Protection Regulation (GDPR) is applied across the European Union. The GDPR is the EU’s way of regulating and unifying data protection for individuals and to also tackle the export of personal data outside the EU. The GDPR pertains to the personal data of EU citizens, which according to the European Commission, considered any information relating to an individual, including his or her private, professional or public life. The new regulations also apply to organizations based outside the European Union if they collect or process personal data of EU residents. Data protection must be incorporated into the development of business processes for products and services. A user is able to request the removal of personal data or cancel the storage service at any time. We directly manage users’ personal data to avoid any third parties involvement and we abide GDPR guidelines. This means personal data is transferred in such a way that the resulting data cannot be attributed to a specific data subject without the use of additional information. Data is stored across multiple nodes through a proprietary algorithm and all users are identified with an email to access the storage service, therefore making the connection to the personal data without further information impossible. A notifiable breach has to be reported to the relevant supervisory authority within 72 hours of the organization becoming aware of it. With direct control over all the infrastructure stack and proactive monitoring 24/7/365, the company has all the means to notify the user(s) affected in case of a data breach.